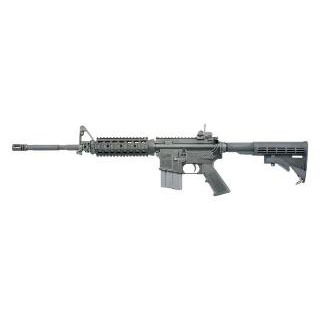 Colt Mfg LE6920SOCOM LE6920 Carbine SOCOM Semi-Automatic 5.56 NATO 14.5 MB 30+1 4-Position Black Stk Black in. The Colt LE6920 SOCOM Carbine was designed specifically for lightweight mobility speed of target acquisition and potent firepower capability. It is ideal for tactical deployment and traditional patrol. With the 4position buttstock fully retracted the Colt Law Enforcement Carbine is less than 30.5 in length and weighs only 7 lbs. Features include an adjustablepost front sight BUIS rear sight side sling swivel at the gas block and ambidextrous safety. The 16" heavy barrel is chromelined with a 6groove 17" twist. The LE6920SOCOM has M4 feed ramps an M16type bolt carrier and an H2 buffer."